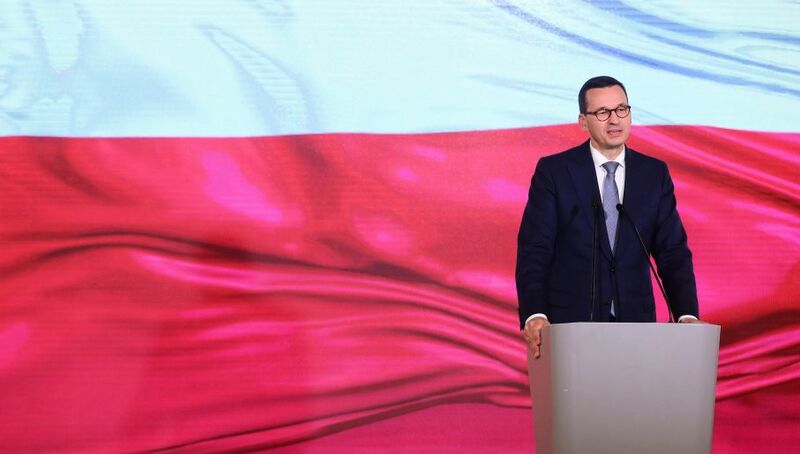 Prime Minister Mateusz Morawiecki called for a joint celebration of the 100th anniversary of Poland’s independence in a letter to the leaders and sympathisers of all political groups, movements and parties. "I kindly ask the leaders of the opposition parties - let’s go together. Let the centenary day be a wonderful evidence that Poland is united, that Poland is great," the letter read. The prime minister stressed that the centenary of Poland regaining independence reminds everyone of how great the value an independent state is. As he remarked, without an independent state there is no development, justice, true democracy and individual freedom. PM Morawiecki said that it would be great if Poles celebrated the anniversary of independence "in a sense of unity and mutual respect." He called for gathering by the Roman Dmowski’s [one of Poland’s “independence fathers”] Roundabout in Warsaw, regardless of the political beliefs, on November 11 at 3:00 PM to march together. Attached to the letter were quotes of two “fathers” of Polish independence, who were main political rivals at the time of Poland’s rebirth in 1918. "We are different, we come from different parts of Poland, we have different interests, but we have one goal: our Homeland for which we want to live and work," Mr Morawiecki quoted Roman Dmowski. "From mutual respect, the great power comes out in difficult moments,” those were the words of Marshal Józef Piłsudski quoted by the Prime Minister.